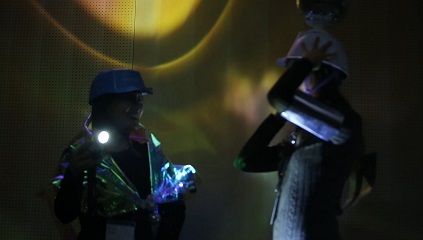 Rim Ziyoung: This workshop invites participants to kind of “hack” Olafur Eliasson’s artworks. Participant: This was a story that recented what we experienced today. 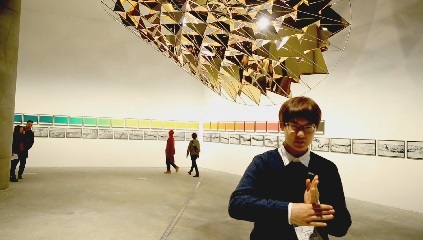 So whn we first met, you all received lanterns and after reproducing those, we went to the gallery and saw the works of Olafur Eliasson? So this was the work that we expressed the works we withnessed one by one. I really like drawing. So when I grow up, I want to build a museum like Leeumto give docent tours and hold exhibitions for artists who cannot afford to do so. I wish to build a museum on behalf of, and to serve these and to serve these people, for free. I aspire to become a docent and a curator who explains everything in an amusing and interesting way so that people can acquire interest in museums without getting bored. I want to be a docent who helps visitors learn about things beyond a work of art when they visit an art museum. Rather than simply delivering information to visitors, I want to be a docent who listens to people’s explanations and communicates with them to make them gain new ideas about the works of art based on their own experiences.